Windows Mobile 10, and its predecessor, Windows Phone, are dead. Updates, and support, are ending Windows Phone Is Dead As Microsoft Ends Support Windows Phone Is Dead As Microsoft Ends Support Microsoft has officially pulled the plug on Windows Phone, having ended all support for Windows Phone 8.1. There is still Windows 10 Mobile, but Microsoft doesn't seem to care about that either. Read More . There are no new devices on the horizon. PC-in-your-pocket system Continuum You Now Have 7 Ways to Turn Your Smartphone Into a PC You Now Have 7 Ways to Turn Your Smartphone Into a PC You left your laptop at work, but that report needs finishing... urgently. No problem! Just use your smartphone as a regular PC. Unsure how? We'll show you seven ways to do it! Read More has proved to be of little interest. Mobile users don’t want a PC in their pocket, they want a phone — like an Android, for example. One of the things that Microsoft did well on Windows Phone devices was produce intuitive apps, and make mobile data management simpler. The user interface was unique and pleasing to use, too. But this is not the end for Microsoft’s mobile ambitions. They have a number of apps, and a home screen replacement, currently available in the Google Play Store (and in the iOS App Store, for that matter). As a former Windows Phone user Why I Quit Windows Phone And Switched To Android Why I Quit Windows Phone And Switched To Android In 2010 I bought my first Windows Phone device, beginning a love affair with the slick user interface and writing endless posts and user guides, generally evangelising the platform. So why have I switched to... Read More , the opportunity to install these apps and the launcher is welcome. But what do they bring to Android? Since 2010, dozens of apps have been released for Android, developed by Microsoft. The release schedule has been accelerated in recent months. It’s strange to think that while Windows 10 Mobile has been wound down, the app developers have been busy working on a different, rival platform. 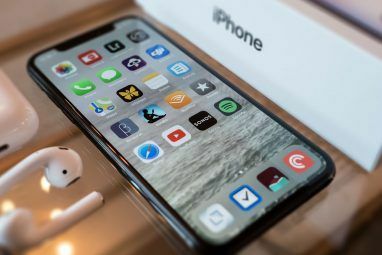 They’ve also been releasing Microsoft apps on iOS Windows Mobile Is Dead, But Not Microsoft Mobile Windows Mobile Is Dead, But Not Microsoft Mobile Windows Mobile is dead. But, Microsoft has some excellent apps for both Android and iOS. We feature five of the best Microsoft apps to boost your productivity. Read More . Microsoft apps in the Play Store cover all sorts of uses, from individual Microsoft Office apps to photo apps like the time-lapse tool, Hyperlapse How to Make a Time-Lapse Video by Converting a Standard Video How to Make a Time-Lapse Video by Converting a Standard Video Time-lapse videos are great, but they can be difficult to make. Why not turn one of your standard videos into a time-lapse instead? Here's how! Read More . In addition, you’ll find tools to switch from another mobile operating system, weather, and sport news apps, and admin tools for managing a Microsoft network or server. There are also a few games in there. Recently, I installed the Microsoft Launcher app, and was astonished at just how this changed my Android device. It didn’t transform into a Windows 10 Mobile… but it felt pleasantly different. Using the Microsoft Launcher, and combining it with some of these other apps, it’s possible to gain a Windows-esque feel on your Android device. Although the Microsoft Launcher doesn’t deliver a Windows 10 Mobile-style tiled interface, there is a sensation that what you’re using is closely related to Windows. With the striking background, font, and various Windows 10-style icons around the launcher, it feels more like Windows than anything else. Of course, launchers can radically change the way an Android device feels. Dozens are available, among them the popular Nova Launcher and Google’s own Google Now launcher Google Now Helps You Customize Your Android Google Now Helps You Customize Your Android Google has launched a new website aimed at helping you customize your Android homescreen. So it would be rude not to at least give it a go, right? Read More , which ships with stock Android. Then there’s SquareHome 2, a launcher that delivers a Windows 10 Mobile-style experience to your Android device. But you don’t need this to enjoy a Microsoft-esque experience on your Android device. The Microsoft Launcher is all you need. But can an Android device really feel like Windows? I’ll admit, I was doubtful at first. But the more I used it, the more Microsoft Launcher seemed to have introduced a subtle Windows-esque aspect to my phone. What makes Windows? Is it just the look and feel, or do the apps and tools come into play? Obviously, there’s more to Windows than just the operating system’s user interface. Therefore, it makes sense to try out the Microsoft Launcher alongside some of the key Microsoft apps on Android. Examples include Outlook, the Cortana digital assistant (which can be accessed from the lock screen How to Get Cortana on Your Android Lockscreen How to Get Cortana on Your Android Lockscreen Cortana is a powerful assistant on Android just like on Windows. If you're an avid user of Cortana on your phone, here's how to add her to your lockscreen right now. Read More ), and OneDrive. 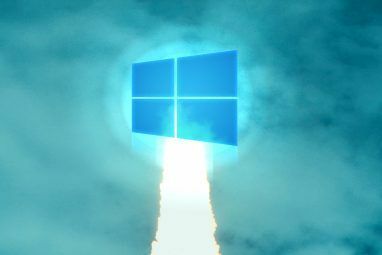 These are easily found thanks to the Microsoft folder that appears on the home screen of the launcher. Any apps that are already installed are listed. Those that aren’t are highlighted with a green arrow: tap this to download. Once installed, these apps feel more seamless with the host operating system. After all, the Microsoft Launcher is at the heart of everything. For instance, if I hold the home button to open Cortana, I get all of the information and updates I would get on my desktop. Visually, it’s a close match, and while it’s different than the Windows Phone version, it still feels like Cortana. Want to turn your Android device into a Windows mobile experience? It’s really straightforward and will bring a whole new dimension of productivity to your smartphone. Microsoft Launcher: Microsoft’s Android launcher feels like a Windows desktop experience more than a tile-based launcher. Outlook: Get your Outlook account emails delivered to your phone. Can also act as an inbox for non-Microsoft email accounts. Cortana: Any platform can be enhanced with this versatile digital assistance. OneNote: Microsoft’s popular note-taking app effortlessly syncs via the cloud. Office: Word, Excel, and PowerPoint are all available via this app. Skype: The VOIP tool needs no introduction. OneDrive: Cloud storage, Microsoft style. Your important files synced to your Android phone or tablet. Beyond these apps, everything else is up to you! Gamers might add the Xbox app, for instance. Why Bother With Microsoft Apps? If you don’t already use Microsoft apps on your Android device, then all of this might seem like a waste of time. But if you require access to, say, Outlook, or want to stay connected to your Xbox Live account, it makes sense to use the apps. You no longer have to move your data away from a particular app. The Microsoft Launcher is just the icing on the cake. We shouldn’t overlook the advantages that app continuity between platforms delivers to corporations. Many companies bought Windows Phones for their employees. As the devices are fazed out, it’s vital that the data and services accessed via these devices have continuity. 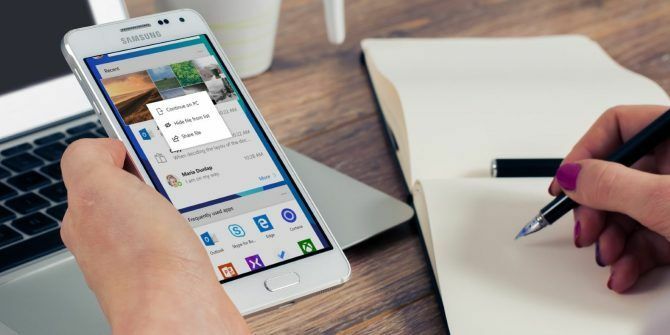 Throw in the ability to seamlessly bridge tasks started on your phone to your PC (an option currently available in Cortana and the Microsoft Launcher) and it’s clear why these apps and the launcher can prove vital for many. All of this raises some questions: Does Microsoft actually need a Windows-based mobile device? Could Microsoft release Android devices with these apps preinstalled? Probably, but they won’t. It’s far more likely that another mobile attempt will be made, in the shape of the much-rumored Surface Phone. 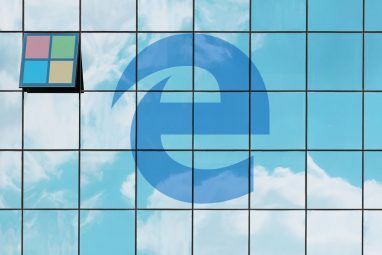 Over the past few years, Microsoft has had the opportunity, and the means, including the supply chain, to make their mobile platform a success. It didn’t happen. Ultimately, a lot of people now own largely useless smartphones, albeit ones equipped with excellent cameras You Won't Believe These 5 Videos Were Filmed On A Windows Phone You Won't Believe These 5 Videos Were Filmed On A Windows Phone Who in their right mind would make a movie with a smartphone? Talented filmmakers maybe? The following movies have been recorded on Windows Phone devices. Read More . Personally, I’m surprised they didn’t give low-end Lumia models away with laptops, or promote the top-end handsets as actual PCs. The Continuum project makes that an everyday reality, one has been sadly ignored. Perhaps it’s too soon for that type of technology. Either way, for all of Windows Phone/Windows 10 Mobile’s innovations, you’re probably only going to enjoy a Microsoft mobile experience longterm on Android. Wild, but true. Have you tried these Microsoft apps on your Android device? Does it feel like you’re using Windows? Do you have any friends or family who might benefit from these tools? Tell us below! Explore more about: Android, Windows 10, Windows 10 Mobile, Windows Phone. Yeah....no thanks. I'll pas. I've had enough of Microsoft to last a lifetime. I'll stick to Android on my phone, Linux on my laptops and desktops and will live a Microsoft-free life for years to come. How memory hungry ate all these MS apps and can they be stored on an SD card or do they have to use internal memory? Im a devastated windowsphone user. I loaded square home and I liked it. It LOOKED like wp but it burned up my juice so fast i could only use the phone for 30-40m and have had battery problems ever since- on my brand new lg. Still a wp user.. And happy with it. I personally use Launcher 10, SquareHome just looked a little off to me. It's even better with an icon pack to make the icons look "flat", but that was easy cause I have a Xiaomi phone. The Outlook app is garbage because even though I told Microsoft of this problem, they won't fix it. When you open the app, it floods your phone contacts with anyone you ever sent or received an email from. Even if you uncheck the "synch contacts" feature in the menu.